​A contemporary dance ballet, or belly dancing like you have never seen it before. Performed by the Suhaila Dance Company for the very first time in Europe! NB: the on-line reservation website is in French only, please click on this document for instructions on how to book. 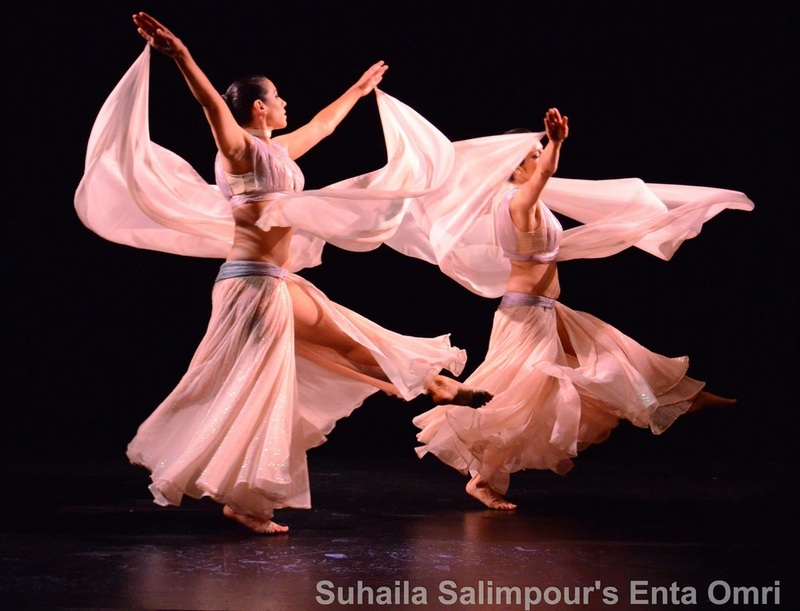 Suhaila Salimpour is a highly-acclaimed belly dance performer, teacher, and choreographer. As a teenager, she began integrating the Middle Eastern dance passed on to her from her mother, Jamila Salimpour, with her own extensive training in ballet, jazz, tap, and American street styles. After working as a professional belly dance performer in the Middle East for over 10 years, she established her school and certification program in California in the late 1990s. She has choreographed hundreds of dances, from the classic to the avant garde, and was nominated for an Isadora Duncan award for solo performance in 2005. Her methods and approach to teaching belly dance is a true artistic breakthrough, that has elevated belly dance practice and performance. Her revolutionary technique and methods are now used by dancers in all stylizations, and the Salimpour School is one of the most respected and influential schools of belly dance in the world. 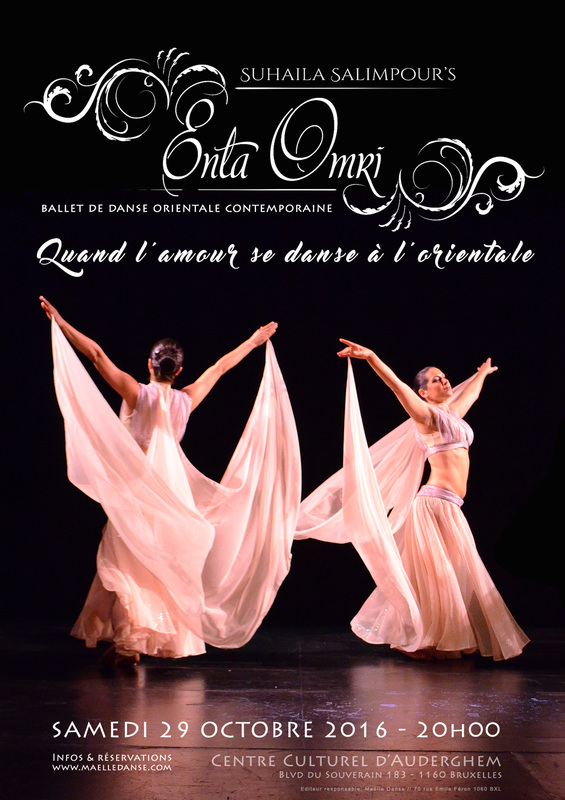 Enta Omri—Arabic for “you are my life”—is a contemporary belly dance ballet, showcasing Arabic music and its physicalization (visuall translation) through belly dance. Choreographed by the highly-influential and innovative dancer Suhaila Salimpour (USA), to classic Arabic music arranged and recorded by her long-time collaborator, musician Ziad Islambouli (Lebanon), this production is an intimate and emotional journey through a lifetime of love and loss. 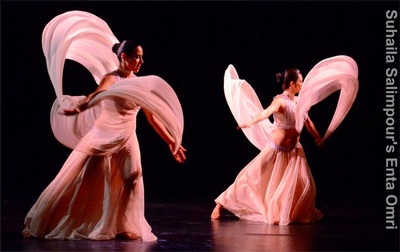 Enta Omri showcases the artistic and technical possibilities of belly dance as a genre, shunning clichés and popular imagery. As Suhaila’s intent is for audiences to witness this intimate and distinctive production live and in person, she will not be releasing any video recording of it. Host Maëlle, the Salimpour School’s ambassador in Brussels, therefore decided to bring Enta Omri to Europe, to give lovers of Arabic music or dance the opportunity to watch it. Do not miss this exclusive opportunity to experience Enta Omri! 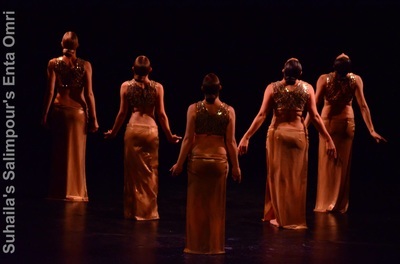 The Suhaila Dance Company (SDC) is comprised of some of the most highly trained dancers in belly dance and is at the forefront of both modern and classical belly dance performing art. Founded in 1996 under the artistic direction of Suhaila Salimpour, SDC is based in the Salimpour School’s home studio, close to San Francisco, and performs across the United States. Members must hold a Level 3 certification in the Suhaila Salimpour format and also participate in Bal Anat, the folkloric and fantasy belly dance troupe begun by Jamila Salimpour in 1968 and under the direction of Suhaila Salimpour since 1999. Creating Enta Omri from Suhaila Salimpour on Vimeo.